Gambling in Las Vegas is a dream held by many a player. About ten years ago, when the Dr-Casino team first assembled, only one member of the group had been fortunate enough to have actually played there. We’d already been gambling for a few years, but at the time, most of us couldn’t afford to make the pilgrimage to Las Vegas. Up to that point, our only experience had been the casual games we played at the office, and the early days of online gambling. 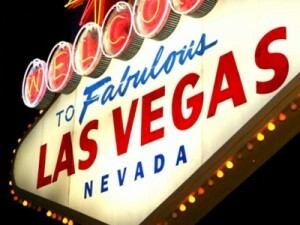 When we got word that the entire team would be heading to Sin City, well, you can just imagine the excitement. We’d always wondered what gambling in Las Vegas would really be like. How would it compare to our gambling experiences up to this point? There were many such questions flying around the office and we couldn’t wait to get some answers. Gambling in Las Vegas is no easy feat, especially when you live thousands of miles away, and you have limited funds. This is something that hit home with us right away. When playing online we knew exactly how much to budget for with every online gambling session. Whatever funds we had set aside for the day was exactly how much was spent. However, as we started making our plans for gambling in Las Vegas, money management was a challenge from the very beginning. We knew there’d be flight and hotel costs, but we were also young and naïve back in the day. We hadn’t considered things like taxes and the cost of taxis to and from the airport, tips, and all those other seemingly minor expenses that can add up quickly. We weren’t complete idiots, we knew that one of the key benefits of playing online is that you save on all the costs of travelling to a brick-and-mortar casino, we simply hadn’t realized just how much of a savings there is to be had by gambling online. But gambling in Las Vegas would be worth it, right? That’s what we’d always read about; how nothing compares to actually gambling in Las Vegas. We were finally about to find out for ourselves. 1. There really is nothing like gambling in Las Vegas. It’s true. There is no way to replicate the experience at home; it’s unique. The excitement generated around a Las Vegas craps table, or getting lost in a maze of buzzing slot machines is second-to-none. 2. Gambling in Las Vegas is really, really expensive. Even when you think you’re going to manage your finances carefully, chances are, you will end up spending more than you’d planned. You get a group of young people and free drinks together and good judgment quickly flies out the window. You forget the drinks might be free, but tips are expected. At some point you’ll get hungry too. Are you going to go back to the hotel and make a sandwich? Probably not. You’ll stick close to the casino because that’s what you’re supposed to do. 3. When gambling in Las Vegas, everything is designed to keep you in the casino. They really do pump in oxygen to keep you awake. The lights are dim so you can never tell if it’s day or night. And the casino floors are vast and filled to capacity with tables and machines so just trying to find an exit can be a serious undertaking. Given the choice all those years ago whether to save up the money to go gambling in Las Vegas or stay at home and play online, I would have definitely chosen Las Vegas. However, the innovations made by the online casinos of today would make that a far more difficult decision. Now that we’re all a bit older and have families to support, would we feel as comfortable spending all that money just to gamble in Vegas? No, not when there are amazing online games that we can access whenever are wherever we want. The incredible advances made in terms of the quality of software being offered at today’s online casinos, combined with the comfort and saving they provide, gambling in Las Vegas just doesn’t hold up. That being said, everyone needs to get away once in a while and when you do, especially if you’re a player, gambling in Las Vegas will always be a great option! This entry was posted in Gambling in Las Vegas and tagged gambling in Las Vegas, Las Vegas gambling, online gambling. Bookmark the permalink.